Posted June 17, 2015 by Tony Jones & filed under Books. Paul Darrow (he who played Avon in Blake’s 7 in the series) brings to a close a trilogy of books with Lucifer: Genesis, an odd name, perhaps for the concluding title in a series. The trilogy gives a story for what happened to Avon (and Orac) after the events of the TV series where most of what had been Blake’s crew (and others) were gunned down. In these books, Avon is an expanded character, not just the sardonic computer genius but also something of a Jason Bourne character, no stranger to violence and murder. The books also portray a fragmented Earth, the tensions between the Empire of Cathay and the Federation, and for some of their arc they are the story of she who ruled the Federation on TV, Servalan. Although the final book, it spends a lot of its early pages giving us back story, much of this being Servalan and her rise to power in the years before the very first TV episode. 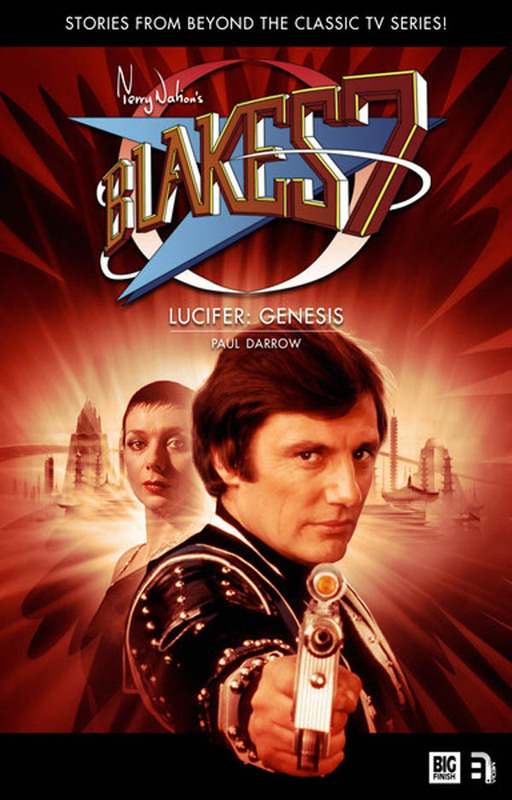 Once he has established the players, Paul Darrow then weaves his narrative around the entire timeline of the four televised series of Blake’s 7. This is not a slavish retelling, more a dovetailing of his narrative into various key moments. An interesting technique, it does make this something that is really only people who have seen the show. Once the book reaches its present day, we have an older Avon, still on the run, still keeping the Orac super-computer out of reach, and still surviving as well he can as slowly, but surely he is presented with what seem to be overwhelming forces arrayed against him. The writing may be clichéd in places, and very much in the style of the previous stories, yet it is satisfying and if you’ve come this far this is a worthwhile read. Published on 8 May 2015 by Big Finish.